Much has been written of late about the decline of “joiners.” The problem is especially acute, it is said, with young people. To be sure, many commentators have remarked on the near absence of today’s young people from bird clubs, state ornithological societies, and bird conservation organizations. Is that true? Is it really the case that young birders aren’t “joiners”? Chad Williams’ article in the Jan./Feb. 2013 Birding (“Birding Beyond Your Binoculars: The Story of a Young Birders Club,” pp. 48–53) suggests otherwise. In his article, Williams describes the recent successes of the Indiana Young Birders Club (IYBC), an organization of young birders, by young birders, and for young birders. The IYBC is not alone. The Iowa and Ohio young birder clubs, to name two others, are importantly mentored by ABA Board members Carl Bendorf and Kenn Kaufman, respectively. Left/front to right/rear: Teen birders Robert Reynard, Kathleen Seeley, Lukas Padegimas, and Rachael Butek unwind at the Ohio Young Birders Conference–2011. Photo by Chad Williams. Needless to say, young birder clubs present to teen birders a splendid mix of opportunity, education, affirmation, and wonder. 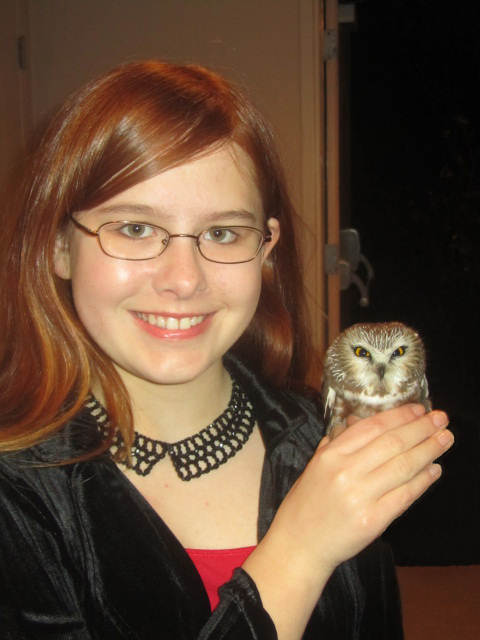 Young birder clubs also challenge the broader birding community. How do organizations for “grownups”—including, if we’re honest about it, the ABA—interact with and nurture young birder clubs? Perhaps just as important, under what circumstances are we to back off, and let young birders do their own thing? And what of the question of legacy? How should adult birders transmit knowledge and wisdom about such matters as fieldcraft, bird conservation, and the birding culture? Or is that the wrong approach altogether? Should adult birders instead open themselves up to insights, and even paradigm shifts, from today’s young birders? 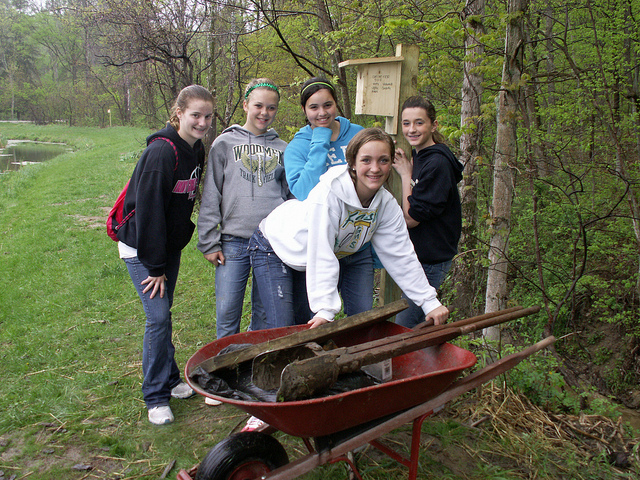 Left to right: Alexis Walden, Kasey Lasley, Cassidy Branagan, Victoria Byrne, and (front) Libby Hignite have just completed a bird conservation project at the Mary Gray Bird Sanctuary in Connersville, Indiana. Photo by Chad Williams. Let’s address these questions honestly. One thing’s for sure: We’re all friends, and, ultimately, we’re all in this thing together. A request, regarding a potentially touchy matter: As you weigh in on these questions, would you be so kind as to say how old you are, at least vaguely so (“I’m in high school,” “I’m in the 18–44-year old demographic,” “I’m so old that I’ve forgotten more than you know,” etc.)? Oh, and if your answer to that question is “I’m in high school,” then we really want to hear from you!